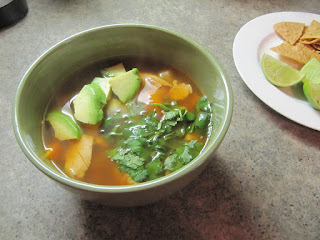 Caldo tlalpeño is one of the first soups I learned to make on my own. To me, it is a soup somewhat similar to menudo or pozole. The meat in this case is chicken, and the chile used to flavor the broth is typically chipotle. It's been a while since I've made caldo tlalpeño, probably not since college. I was excited to revisit it. 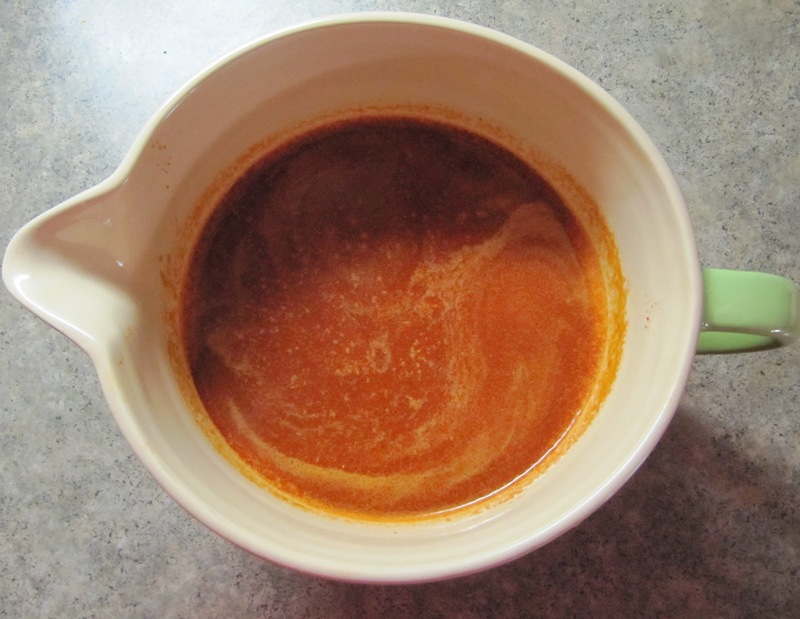 To begin, I made my broth from the bones of a couple of roast chickens. I prepared the salsa to add to the broth to further flavor the soup. Normally, chipotle is used in the salsa but I decided to use chile morita, which is a smaller and spicier version of the chipotle. It still contains that deep smoky flavor which will go well the chicken. I rehydrated the chile morita in some of the boiling chicken broth for about 20 minutes. To complete the salsa I placed the chile in a blender along with garlic, cumin, bay leaves, oregano, salt and pepper. To complete the soup I added diced potato, carrot and boiled for a few minutes. I later tossed in some cooked garbanzo beans, before adding the salsa to the soup. I let it all boil together before serving. i garnished the caldo tlalpeño with diced onion, cilantro and pieces of avocado which provide a texture contrast and a needed cool creaminess. tostadas can be broken up into the soup and of course no caldo is complete without a few squirts of lime. Making caldo tlalpeño brought back so many memories of trying out new recipes on my own in high school. It feels good to revisit that. 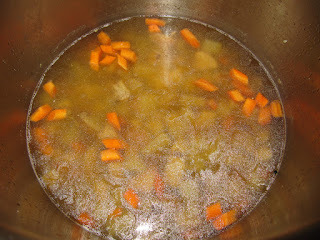 Looks yummy cant wait to try it I love soups and its so easy to make thanks.. Thanks! Let me know how it goes! Just note, chipotles can be more forgiving and they work great from the can. Chile morita is very spicy so i would maybe blend one or two depending on the portion size.